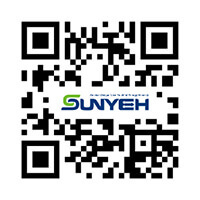 Sun Yeh S series spring return electric valve actuators and tunnel damper valve actuator utilizes spring driven pinion and rack mechanism to provide torque ranges from 50N‧m to 260N‧m mechanical fail-safe quarter turn electric actuators. When power is supplied, the spring mechanism is compressed to store energy for movement. 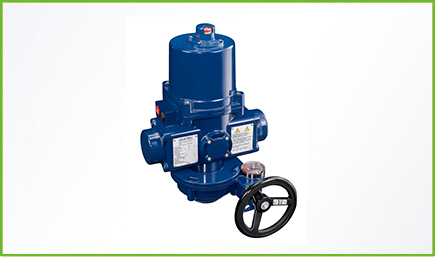 Once the power is lost or removed, the controlled valve or damper will be driven to fail safe position (either Fail OPEN or fail Closed) in either clock wise (CW, standard) or counter clock-wise (CCW, optional) rotation. In addition to standard open/close (two-position) control, floating and modulating control are available for option per application requirements. 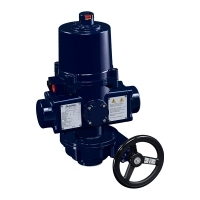 The open/close control is equipped with a buffer to reduce damages caused by water hammer which is resulting from sudden starting or stopping of flow. A clutch-less manual override is available option to provide manual operation when power outage, no clutch or brake is required to change from electrical control to manual operation.